Obituary for James W. Devine, Jr. | Doherty Funeral Homes, Inc.
James Wilfred Devine, Jr. passed away at the age of 66 on Tuesday, January 29, 2019. Jim was born in Wilmington on December 4, 1952, son of the late James W., Sr and Dureen (Davis) Devine. 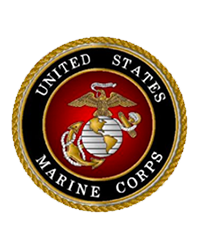 A proud veteran of the United States Marine Corps, he honorably served our country during the Vietnam War. Jim was employed with Pathmark, having worked in the produce department. He is survived by his nephew, Jason Grubb; his niece, Jaime Grubb Faber and her husband, Christopher; his great nieces, Autumn Medley and Kayla Faber. A committal service with military honors will be held at Delaware Veterans Memorial Cemetery Chapel, 2465 Chesapeake City Road, Bear on Monday, February 18 at 2:00PM. Please omit flowers and consider a donation in memory of Jim to Vietnam Veterans of America.